Y’all the holidays are such a busy time for me. I work with food for a living. So not only am I still cooking for my family’s regular three hots, I’m still busy developing recipes in general, and more so than ever because of the focus on the season. That doesn’t even include my own Christmas menu. And what about all the other dishes and meals I’ll need to make, create, bake etc?? All the focus always seems to be on the main event, the big dinner. But what about your visiting guess who’re still hungry for lunch? What about breakfasts, brunches? What about the snacks? Oh, the snacks consumed in my house then! That’s the last thing I want to think about when I’m hosting. This is exactly the reason you’ll find WHOLLY® SIMPLY AVOCADO™ stocked in my fridge this year. 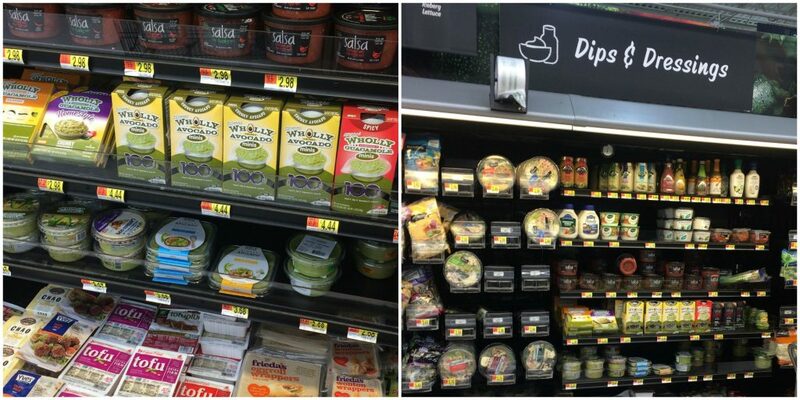 A quick trip to my local Walmart and I’ve got a pure, wholesome avocado dip or spread with minimal flavor enhancing ingredients on hand. It requires zero extra effort from me, other than popping open the package. Talk about a convenient substitute for fresh avocado! That’s darn near priceless to me. 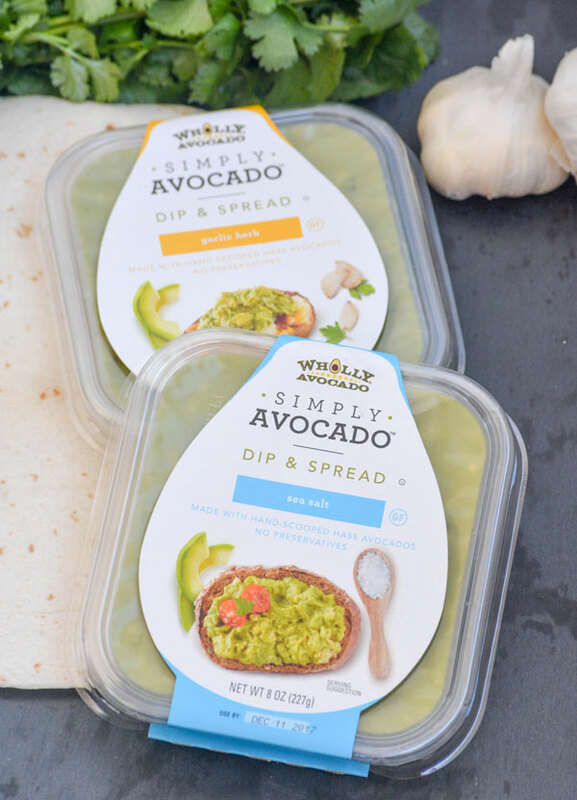 So, back to my original point, stock up on SIMPLY AVOCADO™ in the days leading up to the big day, both the Sea Salt and Garlic & Herb varieties! Serve it as a spread with some eggs on toast for a hearty (but easy!) breakfast. Set it out in a pretty dish with some chips for a simple, but flavorful appetizer or snack. 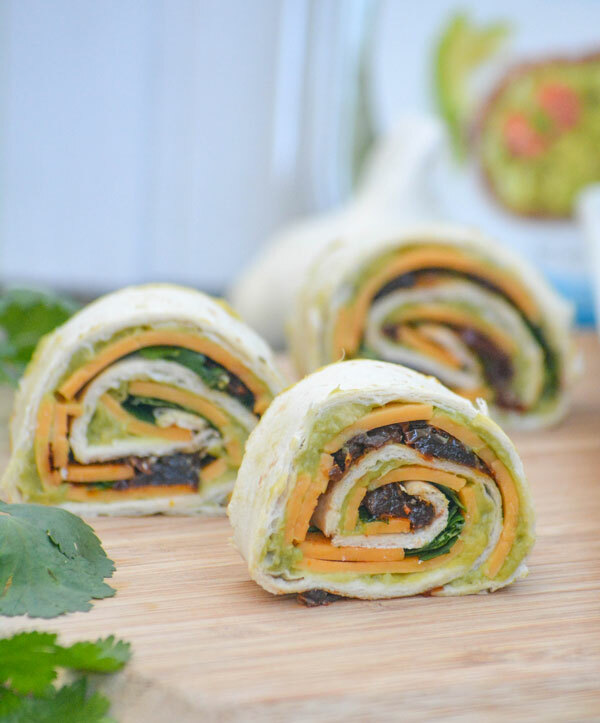 Or, my personal favorite- impress your guests with a batch of these appetizing Chipotle Cheddar Garlic Herb Avocado Pinwheels. These bad boys, taste as good as they look (if not better). They can also, so conveniently, be made up to 2 days ahead of time, sliced when needed, and served as a snack, appetizer, or even in addition to the main meal itself. 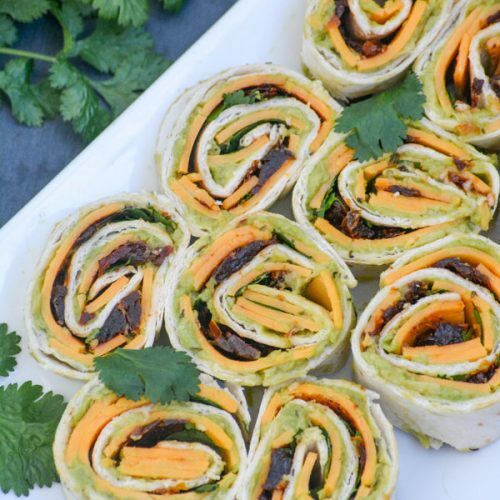 Tortillas are spread with a thick layer of Simply Avocado™‘s sea salt or garlic spread (either would be divine) and topped with several thin slices of sharp cheddar cheese. 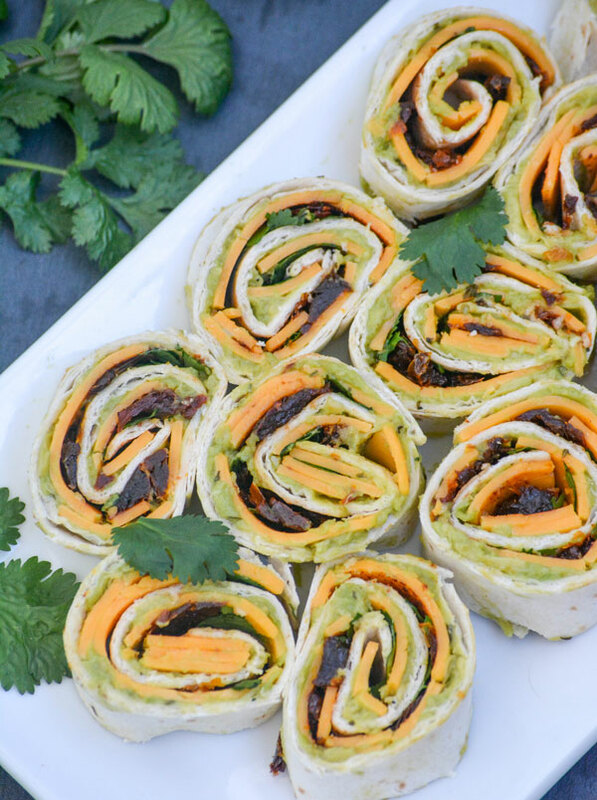 Sprinkled with chipotle seasoning, diced sun dried tomatoes, and finally fresh cilantro leaves- these pinwheels are rolled up tightly, and offer you two options. You can opt to slice and serve them immediately. I’d imagine any company, or pretty much anyone who sees them will lobby for that option. Or wrap them up tightly in plastic wrap, refrigerate, and they’re ready to be sliced with in the next 2-3 days for an easy luncheon or appetizer. I love having options, don’t you? Authentic, confident, sophisticated, and straightforward, just a few words that come to mind when I think of this avocado dip. Also- just how you’ll feel too when you serve this gorgeous, made-ahead recipe to your guests. 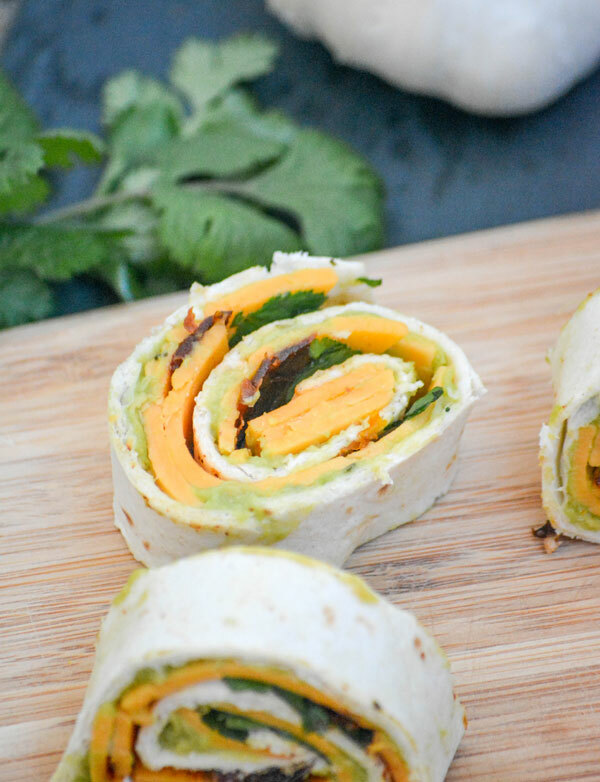 An easy snack or app, these little pinwheels are packed full of flavor and fit for any crowd. Spread the cheese slices evenly out over both spread wraps, breaking the slices up as necessary for flat, full coverage. Using your fingers, sprinkle a half teaspoon of chipotle seasoning evenly out over the cheese on each wrap. If you like things hotter, sprinkle more! 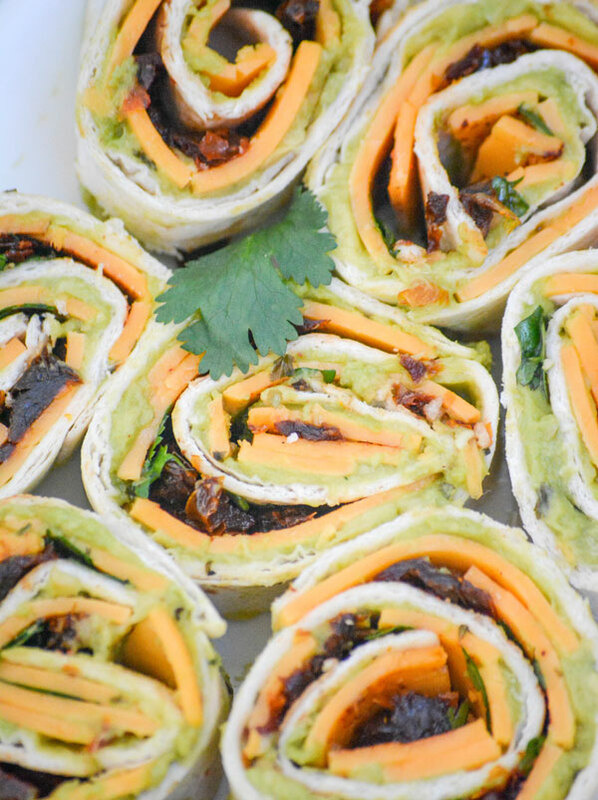 Spread the cilantro leaves evenly out over each wrap. Roll each wrap up tightly, so the end with the seam side down. Slice into 1" pinwheels and serve. Otherwise transfer each wrap to a sheet of cling wrap. Wrap the tortillas up in the cling wrap so they're sealed completely. Refrigerate up to 2 days (for best results), and slice and serve when ready. What yummy ideas do you have for this creamy avocado dip? I’d love to hear about them in the comments below! Need some additional inspiration? Find more easy ideas HERE, and make sure you’ve visited your local Walmart and stocked up before the guests arrive! You won’t be disappointed. I love that something so simple, yields such yummy results! 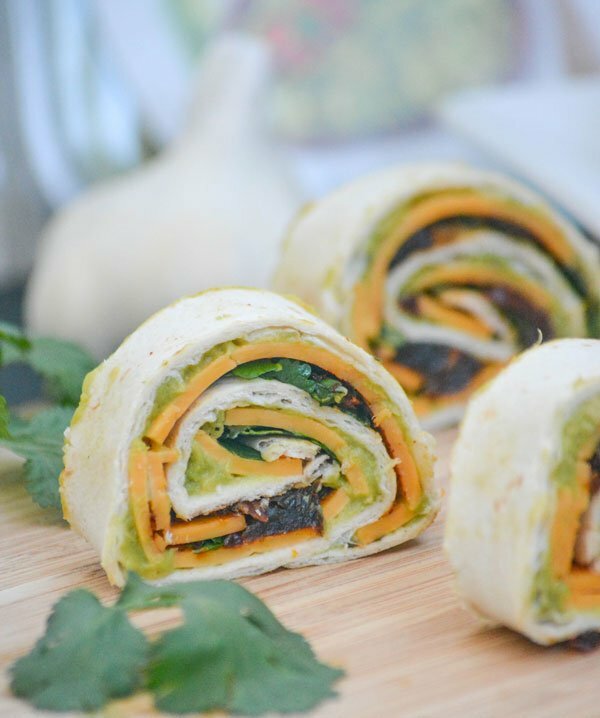 Pinwheels are a favorite appetizer and there is usually one version at any gathering I have. I will have to look for that dip – sounds like a great idea. Thanks for coming to the party and sharing with Fiesta Friday. 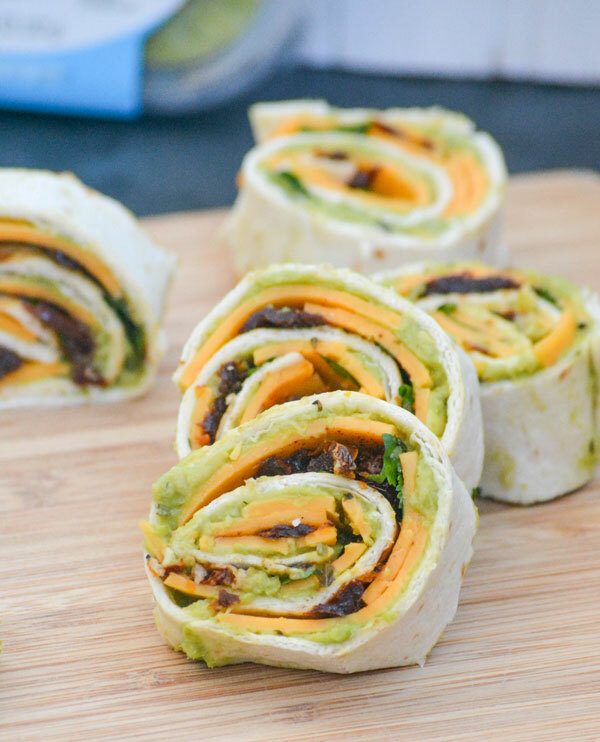 Pinwheels are like THE perfect appetizer for any occasion! These look so fun! We don’t really do pinwheels (apart from marmite) but these look so good I might make them for the boys for lunch this week. I’m guessing I won’t find the dip over here in UK so I’ll have to make my own! Thanks for sharing at Fiesta Friday, don’t forget to add the links so your readers can join the party too. They’re perfect for lunch, and a great tasting alternative to our traditional meat & cheese sandwiches. How can I make the avocado dip? You can find it in the refrigerated produce section at Walmart.